***Multiple Offers!! Highest & Best is due on 3-6-19 by 5pm. See Multiple Offer form under attachments, submit with your offer*** Not in a flood zone, FHA, VA offers are welcome. Brand new stainless steel appliances are coming soon. 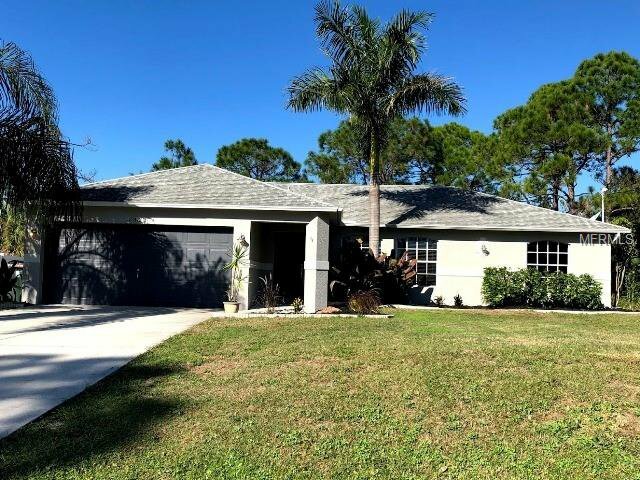 Don't miss out on this clean and bright 3 bedroom, 2 bathroom, split floor-plan in North Port! This spacious interior offers cathedral ceilings, a large and open living room and a roomy kitchen with breakfast bar great for cooking and entertaining. New interior and exterior paint, many updated light fixtures and fans, and new carpet in all of the bedrooms make this home move-in ready! This home is tucked into a quiet neighborhood with a convenient location: close to shopping, dining, schools, library, and easy access to I-75. Call us today to see this great deal before it is too late! Listing courtesy of ANYTIME REALTY LLC. Selling Office: KELLER WILLIAMS ON THE WATER.